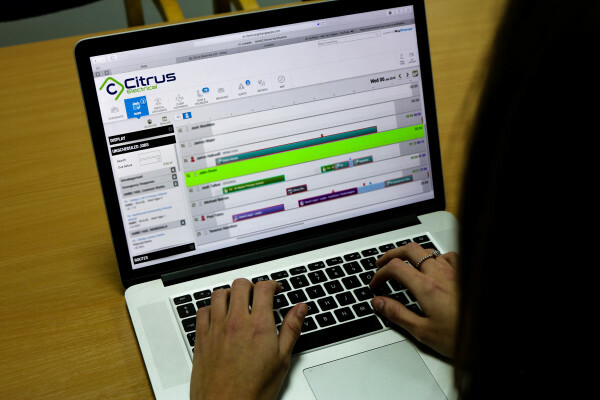 Here at Citrus, we like to manage our workflow differently and more efficiently than other contractors. Thats why we have a dedicated system which looks after our job management, CRM, scheduling, billing, KPI's and much more! 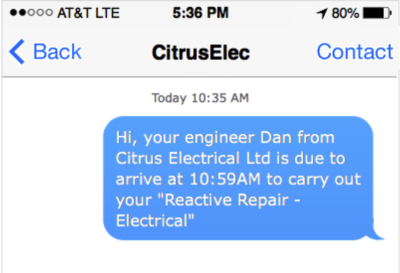 Our systems email confirmations to the customer to book in the job, as well as sending a text message alert when the engineer is on the way to site. This takes live traffic and map data into account to give the customer a specific time to expect the engineer. 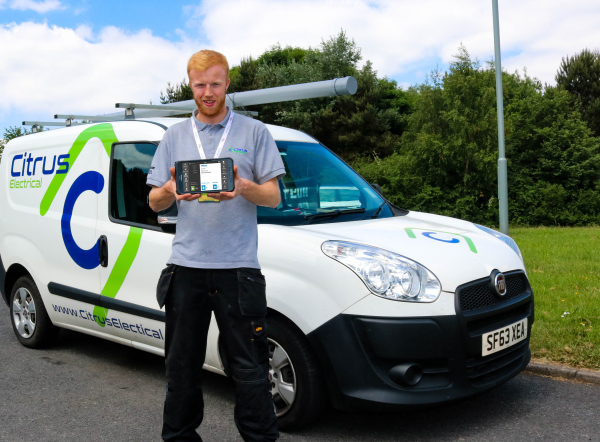 Once the engineer arrives on site he uses the job data from his smart tablet to carry out the job, then issuing it the customer for a signature of acceptance for the works. 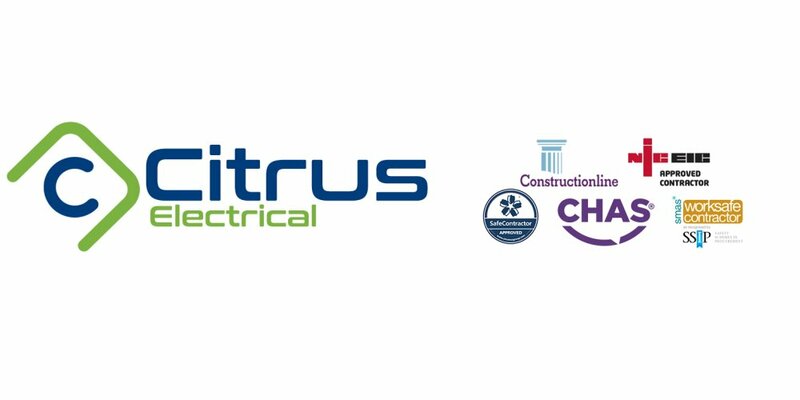 Once the job is completed a detailed job sheet with pictures and any other information is emailed to the client, along with any relevent test sheets completed all whilst on site! 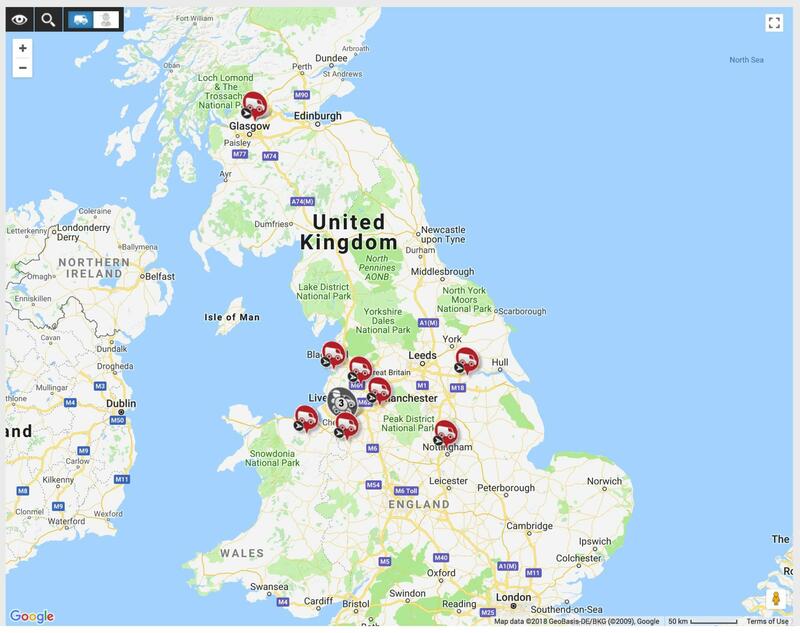 CCTV is essential to the security of your premises, find out more about our Hikvision solutions. In modern business, most systems now run over CAT5/6 data cable. Ensure your infrastructure wont fail you.